7 Nights for Only £599. Plus MayDay breaks 4 nights from Only £99. Get the best deal now! From family holidays to short weekends away, Haven Holidays are one of the best companies at helping you find that ideal escape to the coast. Haven pride themselves on finding the perfect destination for your break and help you fill your days with fun with a variety of activities for people of all ages. So you can guarantee the kids will be kept occupied whilst you enjoy some good old fashioned R&R. With loads of destinations and dates available - See how much you could save on Haven Holiday with these latest offers. At Haven the beach is always nearby, or you can treat yourself to beauty treatments in their beautiful spas at Haggerston Castle or Rockley Park. What makes them right for you? With over 50 years’ experience crafting the perfect family holiday they know just what it takes to make your stay with a safe, happy and memorable one. Each park offers a wide variety of different accommodations to meet your needs during your stay with us, and with 36 destinations to choose from in England, Scotland and Wales you can be certain the perfect seaside holiday is waiting for you at Haven. Each park has all the modern amenities you’d hope for, from swimming pools to Natue Rockz activities. 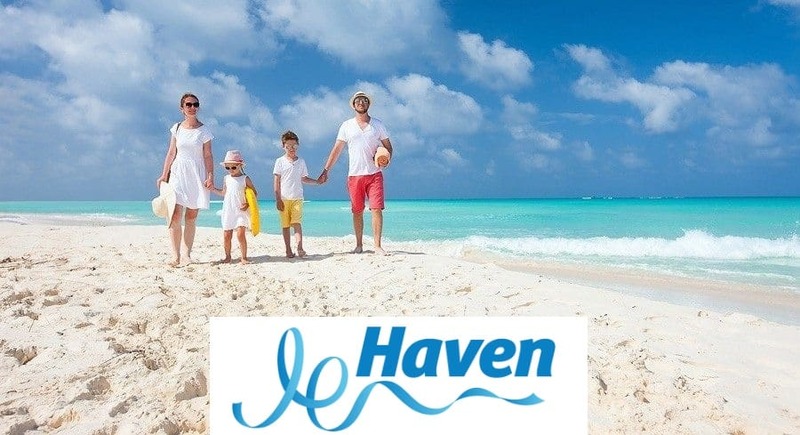 Making Haven the ideal stay for the whole family. The fun doesn’t stop when the sun sets either, as we’ve got lots to keep you entertained well into the night, from bars and restaurants to stage shows, pantomimes and live music. If you’re looking for an affordable holiday for either yourself or your family then Haven are the perfect choice. If you take advantage of our promotional codes and offers then you can help save yourself even more too! Here at Police Discount offers we will continue to bring you the best deals from Haven from some of the best locations around the UK. So if you manage to book your annual leave and the Police Duties Sergeant authorities it, make sure you pay us a visit to check out our Haven offers. Some amazing Police family holidays are available right now with big savings.